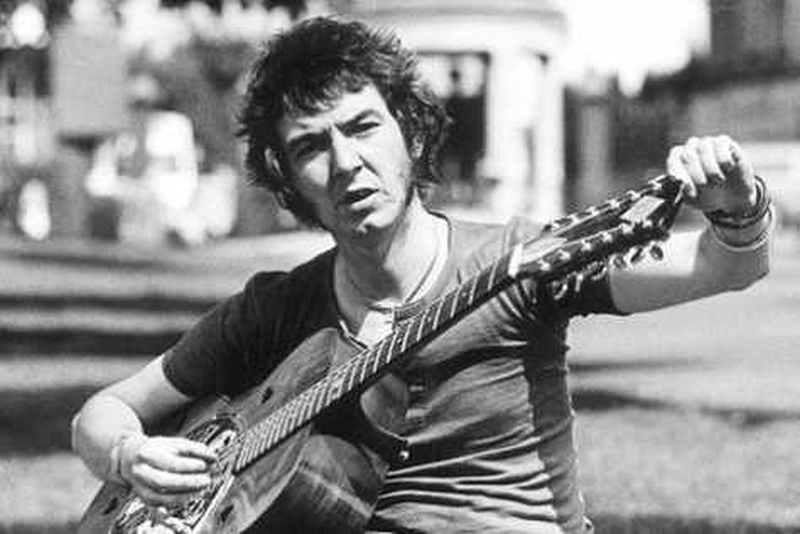 Born to be in showbiz, Ronnie Lane was the multi-talented bass guitarist of both the Small Faces and the Faces. A celebrated songwriter and music producer, he carved out a career that spanned most of his life. He died in 1997, aged 51, after a bravely fought battle with multiple sclerosis. More than 22 years after his untimely demise, we take a look back at his remarkable achievements. 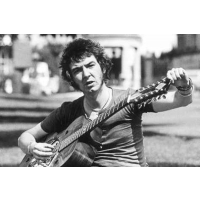 A founder of both legendary bands, Ronnie Lane developed a talent for playing the guitar as a school boy. His father, a lorry driver, encouraged him. It hadn’t gone unnoticed that Ronnie liked to be in the limelight. He was still a teenager when, with friend and drummer Kenny Jones, he formed the Outcasts. The endeavour, heavily influenced by American R and B, suffered an impromptu demise when, with the addition of Steve Marriott, the band was chucked out of a pub and left to start from scratch. It is widely reported that the Outcasts’ break-up was a result of over-enthusiastic piano playing by Marriott. It is alleged he didn’t so much tinkle the ivories as bash them, breaking the instrument. But every cloud has a silver lining… Feeling dejected but also slightly amused, Ronnie, Kenny and Steve decided to form a band with keyboard player Jimmy Winston. The other members of the Outcasts had sent them to Coventry. The decision was taken in the street as all three sat on a kerb. Not one of them could possibly have known then the influence they would have on not just a generation but the world of music. 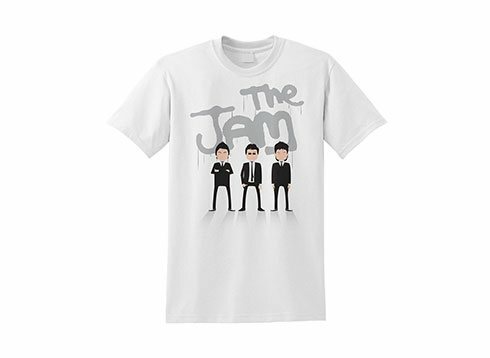 The Mod rockers, later joined by keyboardist Ian McLagen, secured a record deal in six weeks and topped the charts for the best part of five years before ‘musical differences’ saw the band split up. During his teenage years, Ronnie was affectionately known as ‘Plonk’ - for his hapless efforts to play guitar before discovering his talent was playing bass. Along with Steve Marriott, Ronnie is credited with writing some of the Small Faces’ greatest hits. As Steve went off to form one of the world’s first super groups, Humble Pie, Ronnie, Kenny and Ian were joined by Ronnie Wood and Rod Stewart – and the Faces were born. Perhaps a warning of what might be to come, Ronnie played on Stewart’s first solo album, “An Old Raincoat Won’t Ever let You Down”, before the Faces officially formed. The band recorded a live album a year later. They steadfastly defied record company bosses, who wanted them to keep the Small Faces’ name. One of the best live acts on the planet, the Faces toured the world to 1975. With chart and financial success, there was just one thing wrong – Rod Stewart was stealing all the limelight. 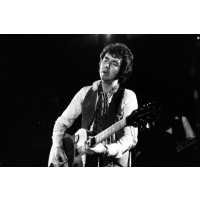 And that is why Ronnie Lane left the Faces in 1973. A talented singer as well as guitarist, he had wanted more opportunities to front the band. He later said he wanted to get up on stage and show off without having to worry about band politics. Ronnie went on to form the aptly named Slim Chance and, after a number of failed musical ventures, slipped into financial ruin. The first sign that he had MS emerged in 1977 when he was collaborating with Pete Townsend. Although he was briefly reunited with Steve Marriott before he died, Ronnie was both broke and broken. As his body succumbed to disease, his pals from the music industry rallied around to raise cash for research into multiple sclerosis. Those who performed for the cause included Eric Clapton, Jeff Beck and Jimmy Page. 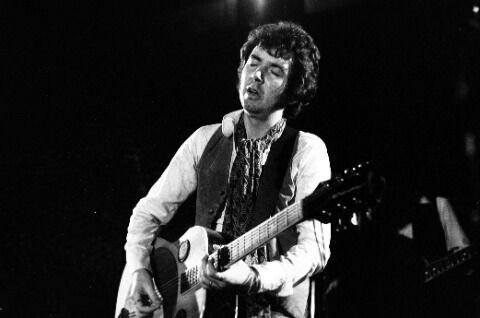 When Ronnie Lane looked back on his career, he saw only lost opportunities and missing cash. He was one of the first musicians to question the handling of money. He was referring to his time in the Small Faces. When we look back and think of Ronnie, we remember a witty, talented and ambitious musician who, had it not been for a cruel disease, would still be vying for his well-deserved place in the limelight.